Why choose adhered single ply roofing systems? Adhered single ply roofing systems are particularly popular in the UK flat roofing market. 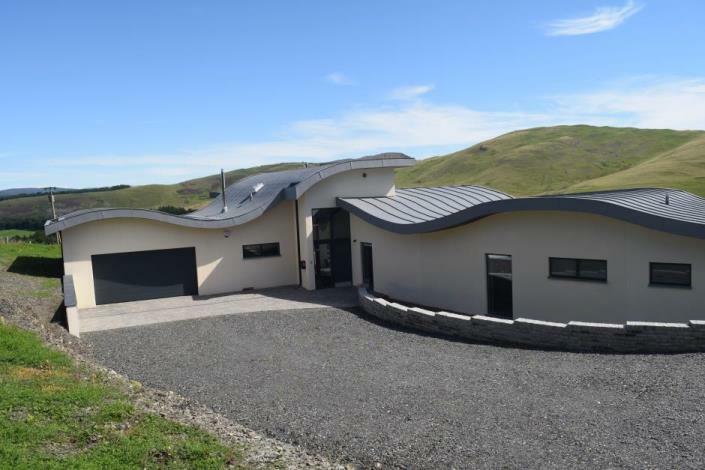 They are chosen for a myriad of reasons such as achieving a more aesthetically pleasing roof finish, avoiding the need to predrill into a concrete roof deck or the need for several fixing and tube lengths when installing a tapered insulation scheme, high humidity building use applications such as swimming pools or just simply installer preference. Choosing the right adhesives for single ply roofing projects is critically important for the performance of the roof. 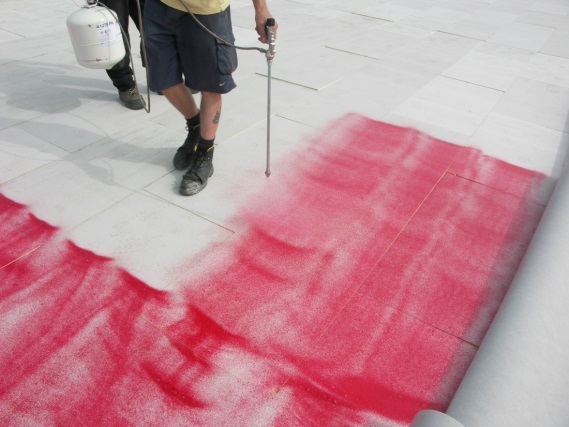 There are many choices of adhesives within the flat roofing market, even perhaps multiple choices for the same application from a single source system supplier such as IKO Polymeric. The aim of this blog article is to provide an overview of what is available and help you to choose the right adhesives for single ply roofing projects, bearing in mind that the choice and correct application technique is critical to the performance of the roofing system. After-all the adhesive has to resist wind uplift forces as well as thermal and structural movement imposed over the lifetime of the roofing system. 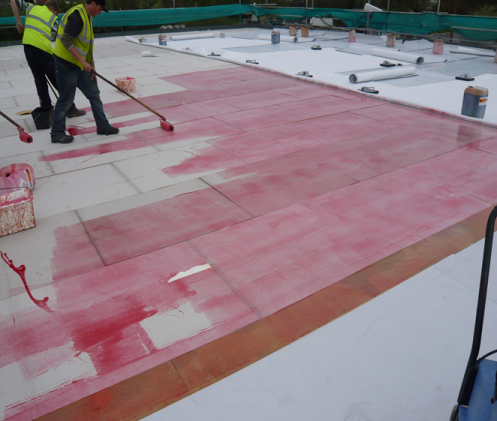 All IKO Polymeric adhesives have been subjected to independent wind uplift testing to establish their suitability in our roofing systems and a wind uplift calculation is undertaken for each project to ensure that an adhered solution is suitable. These are generally considered high performance adhesives that can be modified to foam to different levels depending upon the application requirement. They can be applied with a brush, roller, spray system, or poured direct from the can. They are cured by the moisture present in the atmosphere and should not be applied in temperatures below 5⁰C. PU adhesives are particularly suitable for flat roofing as once cured they remain strong and durable in temperatures as high as 140⁰C. However when used to bond two non porous surfaces together such as foil faced insulation boards, a longer cure time may be experienced which could delay roofing works. 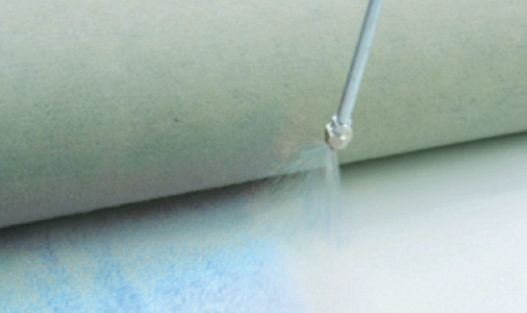 These are single component adhesives that are applied in two coats by brush, roller or spray; one to the back of the membrane and one to the substrate. Once the adhesive is tacky on both surfaces they are pressed together and pressure applied to consolidate the two adhesive layers to become one. This gives an instant bond so is ideal for vertical applications. Generally these are used for details and upstands but can be used to bond large field areas if care is taken. Issues arise with contact adhesives if the two surfaces are put together at the incorrect time. If the surfaces are too wet with adhesive, it’s possible that the solvents have not flashed off adequately. This can lead to solvent blisters forming between the substrate and the membrane. Conversely if the surfaces are too dry, it becomes impossible to get the two layers to consolidate and a proper bond is not achieved. Contact adhesives should not be applied in temperatures below 5⁰C. 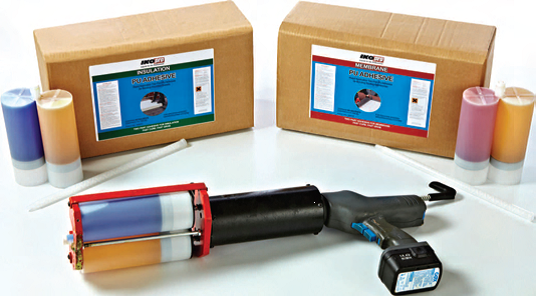 These single component adhesives are brush or roller applied to the substrate. 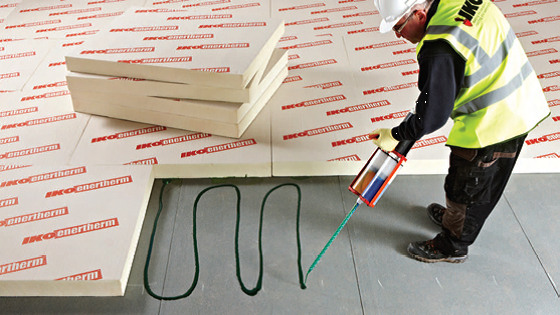 They are generally not used for adhering membranes on site as they cannot get dry in low temperatures below 10⁰C. They can however be used in factory conditions easily so are a good solution to bond membrane in offsite construction production facilities. Whatever the adhesive type, it’s important that the surfaces to be bonded are dry and free of dust and other loose particles and contamination. The adhesive is only as effective as the material it’s bonded to. Temperature is critical when using adhesives and they all have lower working limits. Lower temperatures tend to make the products more viscous making them more difficult to apply, they will also take longer to cure. 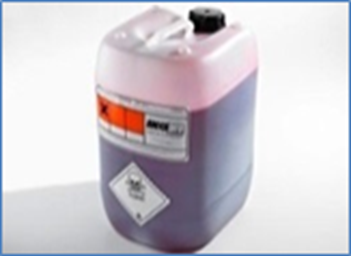 On the other hand, in warmer temperatures adhesives will dry faster giving the operative less working time. Working methods need to be adjusted to take this in to account. Insulation boards are generally bonded by applying strips or beads of adhesive to the substrate using a high foaming PU adhesive. 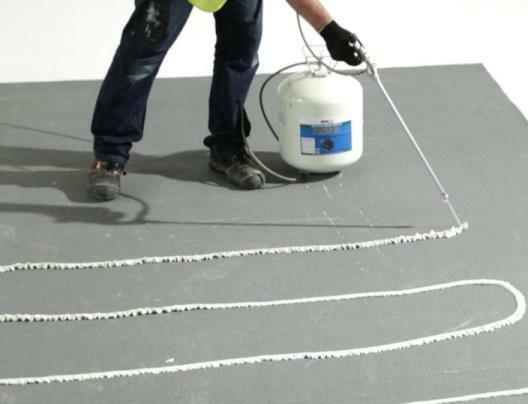 The high foaming nature of the adhesive allows for any unevenness of the substrate by filling any gaps or small ridges that may be present. 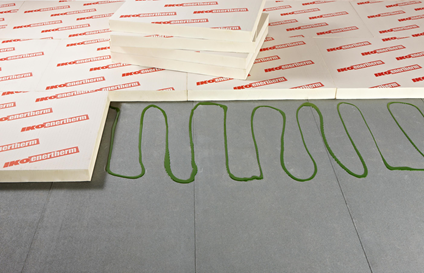 The bead widths can vary depending on the product being used and the substrate that the insulation is being bonded to. The bead centres vary depending on the wind uplift forces calculated for the roof area. But they will typically be 50% closer together in the corner and perimeter zones where the uplift forces are higher. 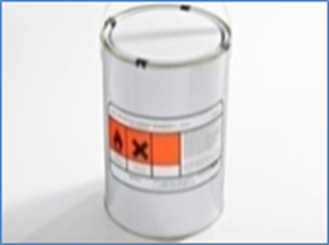 Adhesive bond tests may be required when bonding to existing substrates to ensure suitability of the product. Consumption rates of adhesive will increase on absorbent materials such as mineral wool insulation or when bonding to uneven substrates. 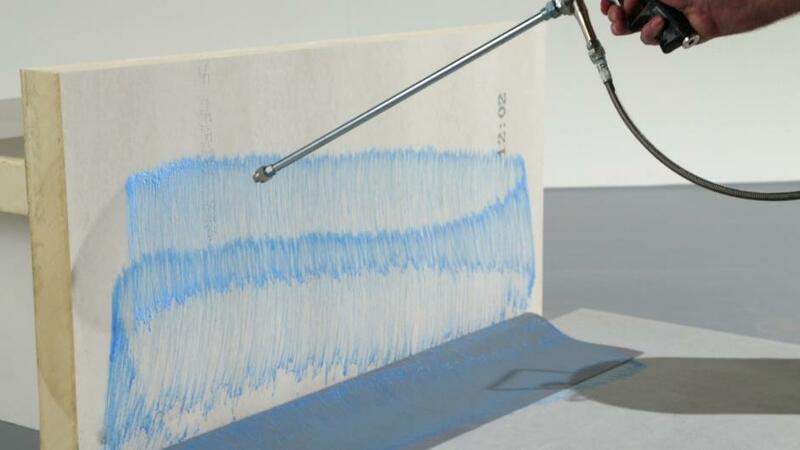 Membranes are generally bonded by applying a full even coat of adhesive to the substrate (and reverse of the membrane if using contact adhesive) and consolidating the 2 materials together using pressure applied by a roller or soft broom. If you’re stuck trying to choose which IKO Polymeric system adhesive to use or need some advice on application or tooling don’t hesitate to contact our technical team on technical.polymeric.uk@iko.com or 01257 488 012.